So it’s that time of the year again and it has been for a while. It’s time for us to take a musical look back at 2009’s best moments. The ‘Review of Year’ format has been around forever and has been done to death, but I think I can squeeze a few more in. In musical terms, there’s no doubting that 2009 will be mostly remembered for the death of Michael Jackson and the fallout from his untimely death. Even if it’s just measured on the sheer volume of column inches, this one trumps everything else. Other headlines included Britpop veterans Oasis finally going through with the split they had threatened since about 1996 and the remarkable popularity and record sales of Scottish reality show contestant Susan Boyle. 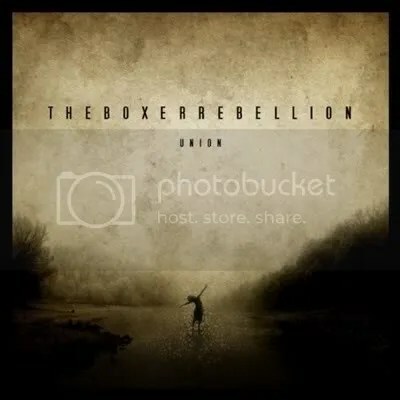 After suffering numerous times at the hands of serious illness and record company politics, it’s remarkable that The Boxer Rebellion made it here at all and let alone after having produced one of the best records of the year. Union is a fantastic, stadium-filling album that outsold Kings of Leon, Coldplay and MGMT in it’s debut week and is fully deserving of all the hype that surrounds it. Soaring melodies and clever lyrics come together perfectly to form a brilliant album that puts many notable bands to shame. This is a band set for even bigger things in 2009. Buy the album and remember the name. After 2008 album Last Night, Moby stated that his next album would be “very personal, very beautiful, maybe more experimental” and whilst it may not be expressly experimental, it is certainly a storming return to form from the ambient master. After the disco records and DJ sets of recent years, many fans will be delighted with the return to the dark side this record brings. It showcases a more mature Moby, whose assessment of a “very personal record” is evident throughout, and one who isn’t happy to throw a few piano chords over an old Alan Lomax blues sample. Songs such as Shot in the Back of the Head and Scream Pilots show clever use of loops that put a twist on a self-created style, and sit well alongside Moby album staples such as the haunting A Seated Night and the more upbeat Mistake. 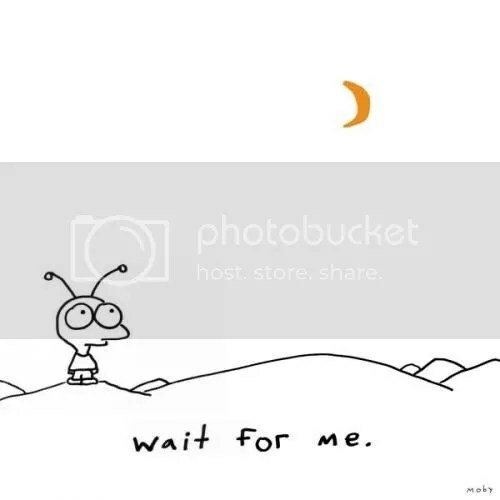 Recalling successful early albums Play and 18, Moby’s 9th studio album, Wait For Me is bleak and beautiful at the same time, giving hope and extinguishing it all in the same breath. An instant Moby classic that not only ranks alongside the best records of the ambient genre, but most others that you care to mention. Releasing a concept album is a tricky business and one that is made even more so when things like record sales are taken into account. Congratulations must go to Kasabian then, as they have not only produced an excellent concept album but have also managed to create their most mature record to date. Composed as a soundtrack to an imaginary film, each of the songs on West Ryder Pauper Lunatic Asylum is written for an inmate in the institution the album is named after. Whilst this is not entirely obvious from the first listen, it’s clear that Kasabian have stepped back from the ‘lads rock’ that previous albums leaned towards. Clear 60s and 70s influences dominate the sound of the album and allow Serge Pizzorno’s mighty guitar riffs to take centre stage and show singer Tom Meighan to be much more than just a Liam Gallagher impersonator. 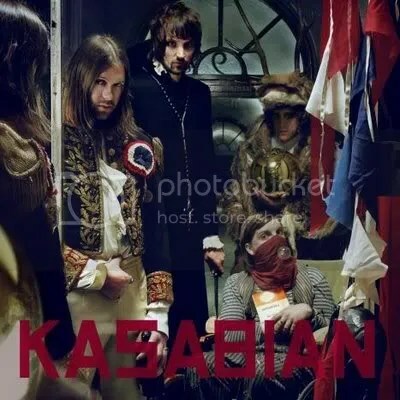 Whilst it’s quite clear we’re listening to Kasabian, West Ryder Pauper Lunatic Asylum shows the band to be far more than ‘the next Oasis’. This record still swaggers as before and perhaps has more attitude than previous releases, but for the first time we can actually believe it. And better yet, we can really enjoy it. Over recent years Folk has experienced a revival of sorts and Mumford & Sons are the latest and arguably the best band to come out of said revival. Building on the success of the Fleet Foxes in 2008 and Arcade Fire before them, Sigh No More is marvelous summation of the Folk/Indie crossover. Whilst some may argue it’s not groundbreaking (nor even particularly original), it’s clear that it doesn’t actually need to be. The Fleet Foxes wrote the very same lyrics last year and yet this record is better. David Gray played the same guitar chords over 10 years ago and yet this record is better. What Mumford & Sons have done that does set them apart is combine all the elements of Folk, of Indie and even some Rock, to create an expansive and passionate record that never gets lost in itself. The pounding drums only serve to reinforce the hearfelt melodies and despite seeming slightly gimmicky at first, the banjo does add an element of reality to proceedings and should serve to appease those who accuse Mumford & Sons of being a glorified Indie band. 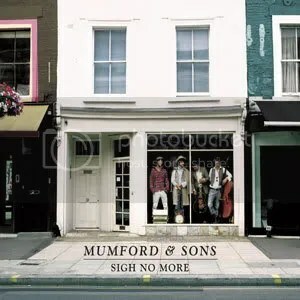 Sigh No More is not one for the Folk purists but should more than suit everyone else. They may be trendy and they’ll probably be on Radio 1 for months to come but, for once, they’ve got it right. Impassioned, intense and at the pinnacle of a ‘Indie-Folk’ revolution, Mumford & Sons have utilised the best of both worlds and firmly placed themselves at the top of the pile. Believe the Hype. Noah and the Whale are a band reborn and, despite their 2008 hit 5 Years Time, should not be ignored. In fact, they should be celebrated. 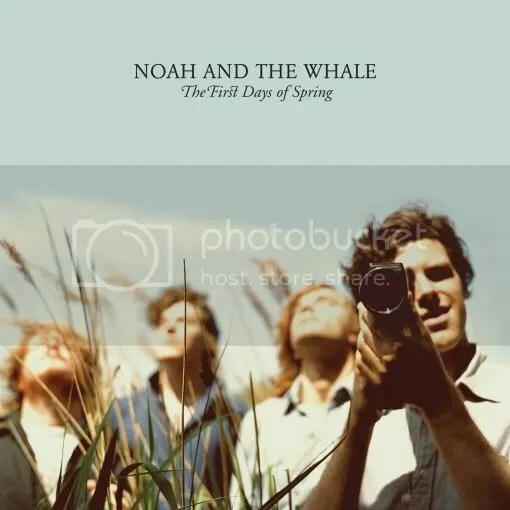 The First Days of Spring is the second record in this list (along with Moby) that doesn’t rank to high on the happiness scale, but is tinged with sadness and melancholy that comes from vocalist Charlie Fink’s break-up with one time band member Laura Marling. But rather than wallowing in it’s own sadness, the album also has a feeling of hope and acceptance to it. The title track speaks of longing for a return but there’s also an underlying knowledge that this is unlikely to happen and this is reflected in the music. After expressing “I’m still here hoping that one day you may come back”, the song bursts into an uplifting and almost therapeutic explosion of strings that characterises the whole record. The First Days of Spring has it’s niche and is not a record for dancing to. It’s clear from the off that we’re listening to a very personal record but one which invites the listener in and allows them to experience the pain, and enjoy the recovery. A fantastic and welcome improvement for Noah and the Whale, and one that shouldn’t go so unnoticed next time around. It was always going to be difficult to write an album consisting solely of lyrics written by missing bandmate Richey Edwards, but if any band could do him justice it was going to be the Manic Street Preachers. The intense words in songs such as Peeled Apples and Jackie Collins Existential Question Time are dealt with in classic fashion, with slightly angular riffs giving way to heavy guitars that themselves give way to simple breakdowns that evoke reflection and occasional surprise. And songs such as This Joke Sport Severed and Facing Page: Top Left showing that the band aren’t afraid to strip back the heavy guitars and allow the songs and the lyrics to shine through. 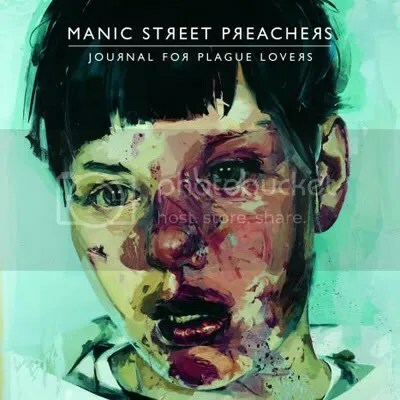 Lyrically out-of-sync with recent albums but not quite ‘The Holy Bible 2’, Journal For Plague Lovers combines Edwards’ last words with the Manics undoubtedly 21st century music excellently, and provides a fitting and final tribute to his memory. This record is the Manic Street Preachers at their highest peak for over a decade and shows that after almost 25 years as a band there’s still plenty more to come. 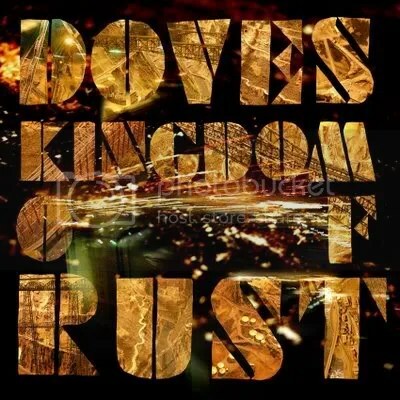 It’s been four years since Doves previous offering Some Cities was released but it’s been more than worth the wait. Kingdom of Rust sees the band at their most confident and not coincidentally, at their most daring. The Outsiders finds frontman Jimi Goodwin chanting over an almost uncharacteristic riff whilst album opener Jetstream strides along over a New Order style electronic beat. However, the most striking moments on the album come on tracks Spellbound and Birds Flew Backwards. The latter is an atmospheric and hopeful track whilst the first is a daring yet moving alternative love song and one that is bursting with feeling. Ever since debut album Lost Souls, Doves have always had invention and excitement in their singles but have never quite managed to hold that in their albums. But it’s on Kingdom Of Rust that they finally fulfill their potential and, for the first time, many album tracks upstage their radio-friendly counterparts. Doves are a band who’ve really found their confidence and, as a result, have produced their best and most mature album to date, and proves that four years between albums is really not that long at all. 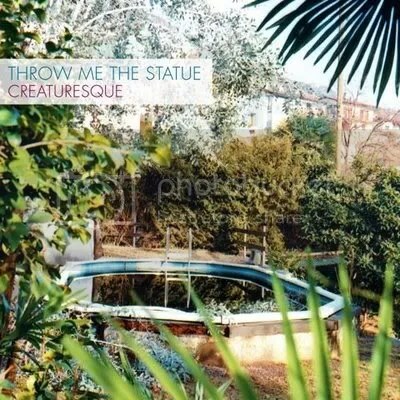 Originally a one man project from Seattle, Throw Me The Statue have developed into a full band that has resulted in their second full length album. Creaturesque is by far the poppiest record on the list but is also probably one of the cleverest. Drum machines and loosely strummed guitars are a welcome hangover from the one-man-band days, but rough indie drums and occasional rasping electric guitars take it to the next level. At first listen, Creaturesque is an indie record. But closer inspection shows that it is far more deserving than that. Taking influence from folk artists and not rock artists, lead singer Scott Reitherman rarely raises his voice above the music. This creates a fragile sound that, when coupled with more angular guitars, has far more impact, credibility and, most importantly, originality, than it’s competitors. Despite occasionally succumbing to the electro-indie handbook, tracks such as Waving at the Shore and Tag ensure that Creaturesque has emotion, pop and happiness in equal measure, and truly does stand out from it’s peers. If there was an category for unknown album of the year then Creaturesque would win. An upbeat yet fragile record that puts an Indie twist on an Indie sound. Expect to hear much more of this band and, more importantly, look forward to it. So there we are, eight of the best from 2009. If you agreed with some, all or none of this list then don’t hesitate to let me know. Leave a comment here, on Facebook or on Twitter. The full set of reviews can be found here. for 2009 your going to have to mention Rain Machine! if you havnt heard his album yet then you have got to get your ears on to that one. It’s on spotify at the moment. I shall check it out Megzy! Yeah I considered that, and I understand that it probably is quite different and inventive, but I didn’t think it was actually that good. Felt as if they’d put to much emphasis on becoming trendy and different, rather than writing good, interesting songs. Ok, i may have been in a bad mood when I said you cant listen to them too much.. I’m still listening to them all the time, but THE DRUMMER NEEDS TO DEVELOP AN IMAGINATION! how difficult is it to play different beats in different songs?? GOD!